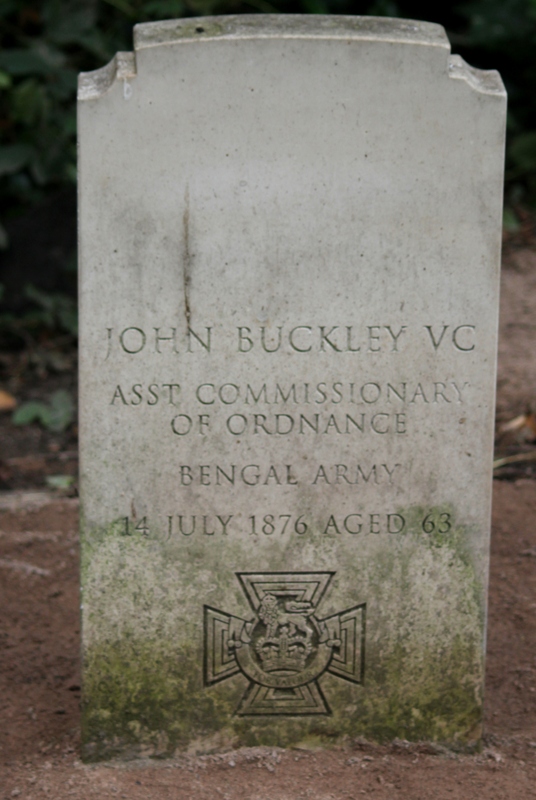 Other interesting news is that the VC Trust are looking for any descendants of John Buckley. They have employed Fraser and Fraser researchers from the TV show Heir Hunters to try to find them. I had emails a week or two ago from the researchers and even an email from the BBC who may want to film the story. Exciting stuff. I’ll keep you posted if I hear anything else. Apparently My Great Great Gandmother is the Daughter of John Buckley, Her name is Ann Francis Harwood, I’m not sure about her Before Marriage name, Her Husband was Ralph Osborne Harwood and Their son was a Soldier in the 3rd Regiment 7th Battalion in the Australian Imperial Force and died in 1915, Something interesting about this is in the Documents it is said that He was the Grandson of Major John Buckley, This is Stated in the Australian War Memorial, Thing is my Father dismisses it and says “She probably lied”. I belive it’s true because it’s stated in many Documents of his Enlistment (Ralph Osborne Harwood Jnr’s) that he is the Grandson of the Major, He was also Born in Liverpool England and Moved to Liverpool NSW but they orignally came from Lancashire as in his Mother. Could this be the case and could i be the Great x3 Grandson of the Major? John’s brother, Samuel Buckley had a son named William F. Buckley who emigrated to Cleveland, Ohio, USA in the early 1870s. He was a brilliant electrician and machinist who first was employed with Charles F. Brush at the Telegraph Supply Co. He patented an electric-arc lamp, an electric-arc light, and an electric-dynamo machine, which he assigned partly to Eugene H. Cowles in 1885. William became the Foreman at Brush Electric Light and Power after Charles F. Brush incorporated it with 3 million dollars in capital in 1880. By 1884/5, William F. Buckley was working for Cowles Electric Smelting and Aluminum Company as lead machinist. He was personally assigned to Charles Martin Hall, the man credited for allegedly “inventing” a process for commercial aluminum. William designed and constructed Hall’s apparati at Cowles. Not revealed by the history of Alcoa (which changed its name to the Aluminum Company of America in 1907 from the Pittsburgh Reduction Company) is that William F. Buckley also was involved in the break-away scheme from the Cowles Company in 1888. William went to the Cowles’ Lockport, New York plant as Head Machinist along with another man, John Covert Hobbs of Cowles Electric. Both worked with Charles M. Hall and joined him and another man named Romaine Clark Cole in secretly forming a new company in Pittsburgh with Alfred Epher Hunt and a group of investors from the United States Steel industry. William traveled to London, England in July 1888 and returned on August 4, 1888. Meanwhile, John Covert Hobbs patented his own electrical furnace on August 16, 1888. The plan was to construct this furnace (which obviously had been ordered and paid for by unknown parties), at the Pittsburgh Reduction Company. The electrical furnace was delivered and installed in late January 1888, which used internal heat. Charles M. Hall’s patent called for external heat so he had to resubmit for four new patents in order to try to not violate the patent of the Cowles’ Electrical furnace. Hall never “discovered” or “invented” aluminum. Instead, he “developed” a process over time through the use of an electrical furnace which had enough horsepower for a current necessary for commercial production that was not previously available. Hobbs, Buckley, and Cole were the men who actually facilitated Charles M. Hall’s success. They have never been credited because Hall infringed on the Cowles’ patent and the company covered it up in the 1893 lawsuit where Judge William Taft, ruled against Cowles because Taft was in the pocket of Andrew Mellon. In the end, it was proven that Charles M. Hall had been operating under the Charles Schenck Bradley patent of 1883, which was earlier than Hall’s and also duplicated exactly by the May 1889 patent of Hall. In the end, a different Judge, Alfred Conkling Coxe, ruled against the Pittsburgh Reduction Company. He also was an intimate family friend of Romaine Clark Cole’s family of Utica, New York who had established themselves in Cleveland, Ohio in 1857 where Delos O. Cole was the Secretary of the Cleveland Rolling Mill for 13 years. While this may seem like justice, the Cowles Company could not compete in the aluminum market during the lawsuit years due to a ruling by Taft. Hence, they ultimately could not compete even after winning the thirteen year long patent lawsuit. Both companies cut a deal to end the litigation in 1903. Much controversy surrounded this lawsuit, but in the end, it was the power of Andrew Mellon (who controlled the Pittsburgh Reduction Company and the Carborundum Company) that bulldozed over the truth. Cole, for his part, was an electro-chemical engineer from Cornell and he was the man who introduced Hall to Mr. Hunt. Cole also negotiated Hall’s signed contract and co-authored the twenty-two page document for Mr. Hunt that detailed “a” Hall process on Aug. 8, 1888. Bradley was the man who really was cheated and both of his sons became patent attorneys who worked at changed patent law throughout the 1930s and 1940s. Cole was lied about and demeaned by Alcoa. Hobbs also was lied about by the New York Times and Judge Taft. Buckley, was barely mentioned during the trials. This was a HUGE COVER UP. Ever since then, Alcoa has always maintained secrecy. Thanks Debra, interesting stuff, looks like the boy from Stalybridge did well. There was a spirit of invention about this place in the 1800s – it was a boom town with lots of engineers inventing and perfecting ideas and the mills and factories doing a roaring trade – perhaps that inspired him. Sounds like you’ve done a lot of research – what is your connection to the story? I’d be interest to hear more about John’s Family, his parents and siblings; I’ve not got a handle on his family tree and his relatives at all. 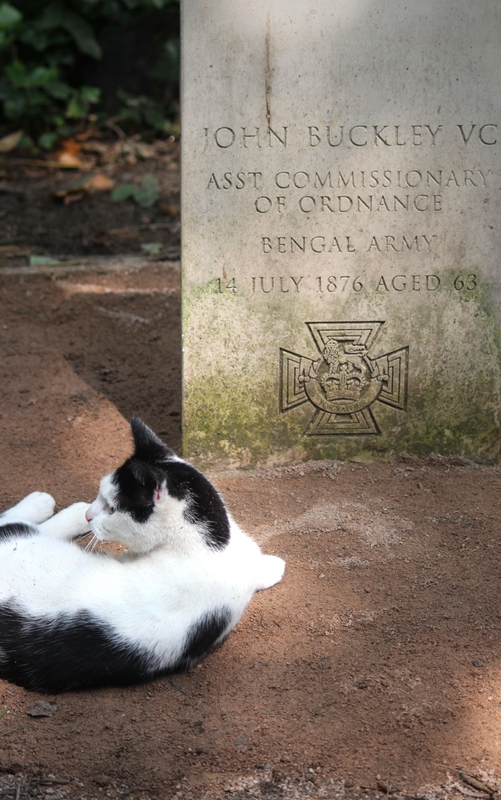 I originally just had information from local history records about his war exploits and the families he had in India. Through the blog I’ve also had contact from possible descendants in the UK, from an earlier marriage in Stalybridge and I’ve also had contact with a descendent from New Zealand. If you have any more information I’d be happy to hear from you. Thanks for your comment. I’m sure others will be very interested too; its an interesting story. John Buckley has been in the news in the UK recently as his grave has been found and is being cleaned – there is even talk of a TV show looking for and descendants to attend the unveiling. If you want to get in touch directly my email address is cockerhill@hotmail.co.uk. Thanks again for taking the time to comment. there is a descendant in NZ and I am staying with him at present and his daughter. Emigrated here in 1965. Name is Geoffrey Wilde. Please contact via myself at: mikekirk29@talktalk.net. Geoff is 78 now. Originally from Stalybridge. Geoffrey Wilde is great great grandson of James Buckley’s niece, Sarah Jane Buckley, who married James Wilde in 1862. Have marriage certificate copy for that in his possession. I’m sorry my email account has been hacked and is not behaving well; I’m working on it at the moment sorry your email didn’t get through. I’ll check through my emails and comments and pass on any email addresses I have for John’s relatives. I’ll need to check that it is OK with them first so it may be a little while before I can forward them on. My name is Fionna Hill, I live in New Zealand and John Buckley is my paternal great grandfather. My grandmother Louisa Maria Buckley was his daughter. She married Ambrose Zachariah Hill. They lived in Birmingham and came to New Zealand in the early 1900’s with their children. Their son Raymond Charles Hill was my father. I have been researching John Buckley for many years and am interested in all your posts. I copied Tony Horsfall in on an email to Steph this week. Thank you for your comment James. I’d love a copy of your photo. That would be fantastic. Please email it to Cockerhill@hotmail.com. I’m sure a few of the other people interested in John Buckley’s story will be in contact too. Thanks for getting in touch. I have taken up research on John Buckley again and so far (provided he did marry Ann Woodall) I have found five wives/partners! My name is Fionna Hill, I live in New Zealand and John Buckley is my paternal great grandfather. My grandmother Louisa Maria Buckley was his daughter. She married Ambrose Zachariah Hill. They lived in Birmingham and came to New Zealand in the early 1900’s with their children. Their son Raymond Charles Hill was my father. I have been researching John Buckley for many years and note that on Cockerhill.com mike kirk mentions a Geoffrey Wilde in NZ. I would like to contact him. Can you help me please Mike? 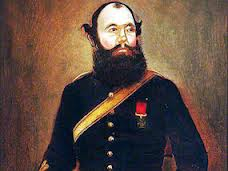 I am researching John Buckley VC, can you tell me who believe a his wives? Fiona,if you go onto the website for ‘Lancashire On Line Parish Clerks’ and enter ‘Old St.George Stalybridge’,you will find the baptisms of Ann and John Buckley’s two daughters registered on the 6th. Feb.1831. Mary Ann Buckley Woodall was obviously illigitimate hence the word ‘base’ after her name. John and Ann therefore must have married before Hannah was born,and the two girls were christened on the same day. Hi my wife’s family are related to John and are regularly invited to the VC celebrations we have loads of stuff about it. Hi Nicky, thanks for your comment. Let me know if you want to write something about John for me to add to the website or scan any documents or pictures etc. Also let me know if you want me to put you in touch with some of John’s other relatives who have been in touch with me. 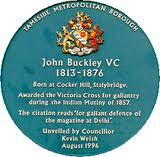 For us in Stalybridge John Buckley VC is a bit of a local hero. I understand he was born and brought up very near to where I live. Thanks for commenting. Steph. John Buckley was my great, great grandfather. My mother was his great grandaughter and his grandson Ralph Osborne Harwood died at Gallipoli in 1915. There is much more to this story for all of us. John Buckley married Susan Cunnington [part of our family and enough happenings and intrigue for a fascinationg book in itself] in Meerut in 1858 and yet when he returned to the UK his wife was a Sarah. We are derived from direct descendants of Susan’s father. Thanks for you email, apologies for not replying sooner I hadn’t seen the email. All of the info I have on John Buckley is either from secondary sources of from people like yourself who have kindly added information. Given all I have is info from books rather than original documents it could be that Susan and Sarah are one and the same. If you want to write anything for my blog about your family history so others can find it that would be great, as would any photos – just email me and I’ll add it to this site. Otherwise I’ll be in touch if I find anything else. When I get time I’d like to map out all the comments on this post with the information in the history books and make John a family tree – or 5! Robert CUNNINGTON then married Susan ANGLIN 16.12.1851 and had a child Laura Ann 14.10.1852 who in 1881 was known to be unmarried and a schoolmistress in Benares, India. Also known to be there in 1901. Susan CUNNINGTON [ANGLIN] married John Buckley [awarded VC in 1858] 1813-1876 at Meerut in India 1858 after Robert CUNNINGTON was killed-in-action in 1858 in the Indian Rebellion. The Indian Rebellion of 1857 was a rebellion in India against the rule of the British East India Company that ran from May 1857 to July 1859, The rebellion began as a mutiny of sepoys of the East India Company’s army on 10 May 1857, in the town of Meerut, and soon escalated into other mutinies and civilian rebellions. 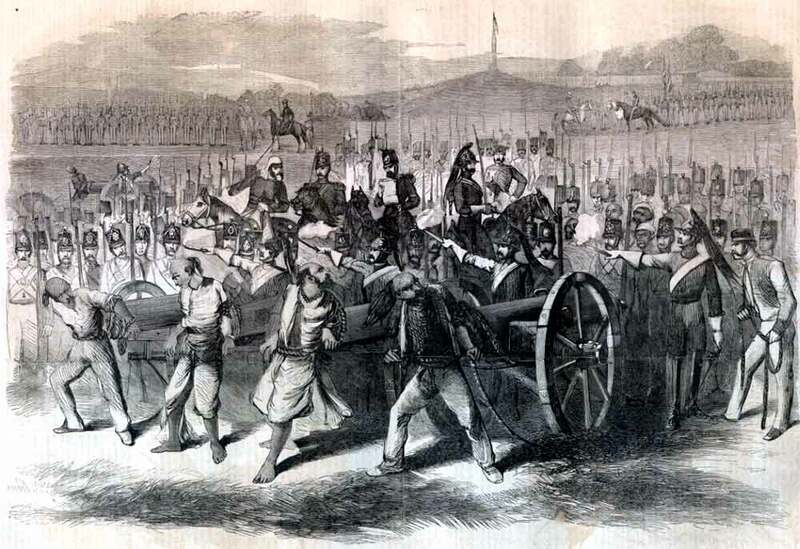 The rebellion posed a considerable threat to East India Company power in that region and was contained only with the fall of Gwalior on 20 June 1858. The rebellion has been known by many names, including the Indian Mutiny, India’s First War of independence, the Great Rebellion, the Indian Rebellion, the Revolt of 1857, the Rebellion of 1857, the Uprising of 1857, the Sepoy Rebellion, the Indian Insurrection, and the Sepoy Mutiny. The rebellion led to the dissolution of the East India Company in 1858 and led the British to reorganise the army, the financial system and the administration in India. The country was thereafter directly governed by the Crown as the New British Raj.